A run through the West Ham squad for the upcoming season. 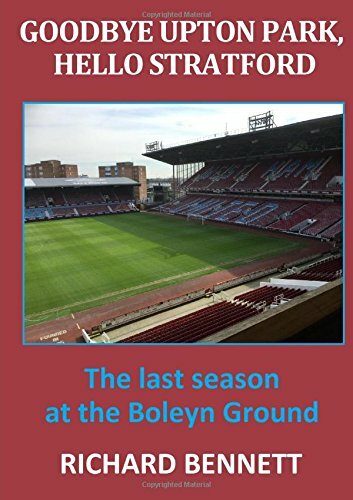 Not long to wait now until we discover if there is going to be any significant change to shape or to the way that the team is set-up following the assorted arrivals at West Ham during the close season. With all the wingers we now have at the club maybe a revolutionary new formation is soon to be revealed. The approach of getting the ball forward quickly to wide positions has been a feature of the Croatian national team for some years. Looking through the players that will potentially feature most regularly in Premier League games we look in decent overall shape albeit a little short of cover in some areas given that there may also be the Europa League to contend with. Our keeper position is good enough if not outstanding. Adrian is a likeable fellow and a very competent all-round keeper aside from the odd ricket (© H Redknapp) and an over-confidence in his dribbling skills. Randolph is capable backup and good to see that he signed a new contract recently. He is an excellent shot-stopper but does not command the area sufficiently well to be a number 1 at this level. With James Tomkins leaving for Crystal Palace where he be able to fully develop his beard potential it looks like a few games for Burke and/ or Oxford this season during the inevitable injuries and suspensions to the regualr centre-backs. Some interesting comments made on the difficulties of blooding youngsters in the Premier League by Slaven Bilic, in the Daily Mail interview with Martin Samuel, and mistakes don’t get punished as cruelly as they do as last defender. Following Aaron Cresswell’s injury we look light at full back even with the arrival of Arthur Masuako. There are two schools of thought regarding the suitability of Antonio as a right back; there are those that think square peg in a round hole and there is Slaven Bilic. Maybe Slav sees a net benefit from his attacking abilities and, at the moment, we owe him our trust. Many of us may have thought that midfield was the one area where there was already an abundance of talent whereas it has seen the most reinforcements (particularly if you consider Ayew as a midfielder rather than a striker). I certainly understand the signing of Havard Nordtvelt as none of the current crop are truly from the defensive midfielder mould (although I don’t think we saw enough of Pedro Obiang to reach a conclusion). Assuming Payet remains first on the team-sheet and Noble retains his place as local boy, Englishman and skipper then it leaves some very good players vying for a couple of starting berths. Admittedly our injury curse will no doubt ensure that at least 2 or 3 are in the treatment room at any point in time – someone will need to keep Gokhan Tore company). Domingos Quina seems to be a young player who could be on the fringes of the first team if pre-season appearances are anything to go by. Or he could be this year’s Reece Oxford and play in the first game and then disappear. West Ham were joint 4th highest goal scorers in the Premier League last year but many will agree that it is the strike-force where we are most exposed. We appear to specialise in the 20 injuries a season striker which affects both body and mind – How do you solve a problem like Diafra?